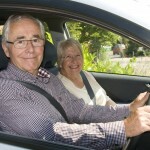 A NEW ONLINE video resource has been launched by breakdown provider and road safety charity GEM Motoring Assist, to help promote safer use of the roads by senior drivers. 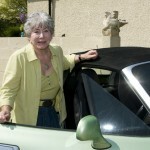 The resource, stillsafetodrive.org.uk, is comprised of three main videos, presented by Valerie Singleton, with advice on how to stay as safe as possible for as long as possible. In the first video, Valerie provides a reminder of the legal obligations on senior drivers, such as what happens when you reach the age of 70, and what you may need to tell the Driver and Vehicle Licensing Agency (DVLA) about particular medical conditions. 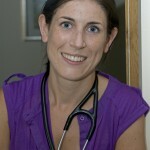 She is assisted by a line-up of top experts, including a specialist in geriatric medicine, an optometrist, the Transport Research Laboratory (TRL) chief scientist, and a police crash investigator. They offer their experience and understanding to explain the process of ageing, and how it can affect a driver both physically and mentally. The second video contains seven simple tips, all focusing on staying safe for longer. Valerie pulls together advice on staying physically fit, getting regular eye tests, journey planning and ensuring the car you drive is the most appropriate for your particular needs. In the third video, Valerie introduces three ‘senior’ drivers who were willing to be filmed in discussion with a family member about their driving. Each discussion is observed and evaluated by psychologist Professor Andrew Parkes, chief scientist and research director at the TRL. A key element of the resource is the recommendation for seniors to give their driving a regular ‘once-over’. This can be done by signing up to complete a driver assessment from GEM Motoring Assist, in conjunction with RoSPA. Details of what’s involved, as well as a contact number for more information, are included in the resource. Extended versions of the conversations presented in the third of the main videos are also available, featuring mother and son Muriel and Roger Crisp, father and son Bill and David Periam, and mother and daughter Sylvia Wilton and Jane Drake. 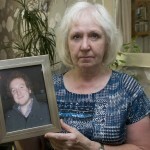 Also included is an interview with Patricia Colquhoun, whose son Neil was killed in a crash caused by 90-year-old retired GP Turner Waddell in March 2011. Dr Waddell, who had failed an eye test the previous day, drove the wrong way down a dual carriageway before crashing head-on with Mr Colquhoun. 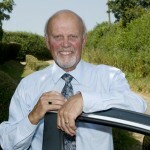 David Williams concludes: “Getting old does not automatically equate to a total loss of driving skill and ability. But it’s important that we pay attention to any warning signs suggesting that age may be compromising our driving safety and, in so doing, make the appropriate adjustments. “Occasionally, someone may refuse to accept that they are no longer safe to drive. The important thing here, if you are a concerned family member or friend, is to use a diplomatic approach that sets out – in as positive a way as possible – the alternatives that may be available for that person. “But, if all attempts at rational discussion get you nowhere, you must put their safety and the safety of others first. 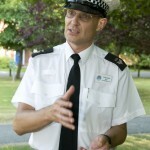 That means being ready to contact the DVLA, the person’s GP or the police. Hurting someone’s feelings for a little while has to be a better option than standing by while they cause a crash in which they could end up hurting themselves or someone else.